On July 24th, 2017 Justin E. Johnson age 37 of Gilman turned himself in to Iroquois County Jail. Johnson was wanted on an Iroquois County Warrant for Theft. Johnson remains at Iroquois County Jail in lieu of bond. On July 26th, 2017 Iroquois County Sheriffs Police arrested Shayne A. Weber age 24, of Buckley. Weber was wanted on an Iroquois County Warrant for Aggravated Battery. Weber was transported to Iroquois County where he later posted the required bond and was released. 1, Jacob N. Westerhoff, 40 of Watseka was arrested on Tuesday July 25, 2017 at 6:59 P.M. in the 600 block of 5. 5th St. for Aggravated domestic battery, after Police were called to a residence there for a disturbance. He was transported to ICSD jail where he awaits a court appearance. 1. Rodney S. Alfo 27 of Watseka was ticketed on Monday July 24, 2017 at A.M. for speeding on N. Jefferson St. near W. Main St. He posted bond and was released. 2. 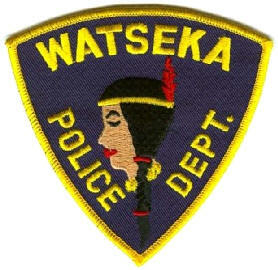 Pamela J. of Watseka was ticketed on Tuesday July 25, 201 9:14 A.M. for Speeding on E. Elm St. near 6th Street. She posted bond and was released. 3. Melinda R. Miller, 35 of Watseka was arrested on Monday July 24, 2017 at 2:46 P.M. on W. Walnut St. near Victory St. for Driving while license suspended, She was stopped after an Officer recognized her and was aware that her driver's license was suspended. She was transported to ICSD jail where she was also charged with Theft under $500 after an investigation into another incident. She awaits a court appearance. 5. Ashley R. Collins, 21 of Watseka was arrested on Tuesday July 25, 2017 at 1:15 P.M. on N. 2 St. near W. Hickory St. on an Iroquois County warrant charging her with FTA-Possession of cannabis under 2.5 grams. She was also charged with Criminal trespass to railroad property, resisting a Peace Officer, and Possession of a hypodermic needle, after she ran from Police but was apprehended after a short chase. She was transported to ICSD jail where she awaits a court appearance. Between 01:00 and 02:00 on 22nd July, a line of storms traveled through Iroquois County causing damage. This consisted of mostly downed trees, utility poles, and electric lines, but also includes three damaged homes in Martinton, IL, two of which had portions of their roofs torn off. Local fire departments, electric company, restoration business, and EMA have been coordinating to resolve the situation. Most of the electricity outages in Iroquois County have been restored, and the rest are expected to be completed this morning. The exact cause of the damage in Martinton has not been confirmed yet. EMA and the National Weather Service are working together to determine what type of storm pattern caused the damage to the homes. As the sun rises, more damage reports are expected. EMA will continue to monitor the situation. 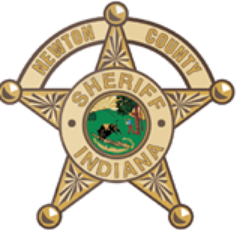 On July 22,2017 at approximately 4:27 P.M. Newton County Sheriff’s Department responded to a report of a single motorcycle crash on State Road 10 near 1050 North. Preliminary investigation by Deputy Fellmy indicates a 2014 Harley Davidson driven by a 56 year old male from Wilmington, Illinois was traveling west on SR 10 and left the roadway for unknown reasons resulting in the crash. 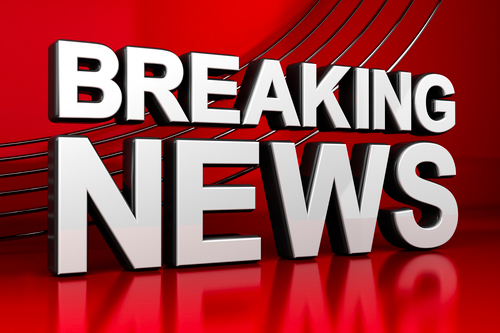 The 54 year old Tammy Johnson, from Lafayette, Indiana was pronounced dead at the scene. The male driver was transported to Riverside Medical Center, where he remains in critical condition. All names are being withheld pending family notification. Alcohol is not believed to be a factor. No other vehicles were believed to have been involved. Assisting agencies: Newton County EMS, Newton County Coroner, Indiana DNR, Lake Township Fire Department, and Village Motors. 1. Larry D. Fleming, 55 of Danville was ticketed on Tuesday July 18, 2017 at 5:16 P.M. for Driving while license suspended, after he was stopped on E. Walnut St. at 5th St. for having no front registration plated. He posted bond and was released. 2. Scott A. Pawelczak, 32 of Watseka was ticketed on Tuesday July 18, 2017 at 8:02 P.M. for Operation of an uninsured motor vehicle, after he was stopped on N. 3rd St. at Oak St. for an expired registration sticker. He posted bond and was released. 3. Angelo Hamilton, 44 of Chicago was arrested on Sunday July 16, 2017 at 3:53 P.M. in the 200 block of E. Fairman for Possession of a controlled substance with intent to deliver. He was transported to ICSD jail where he awaits a court appearance. 4. Geoffrey W. Fisher, 41 of Watseka was arrested on Thursday July 20, 2017 at 2:55 P.M. in the 100 block of E. Elm St. for Domestic battery, after Police were called to a disturbance at a residence there. He was transported to ICSD jail where he awaits a court appearance. On July 18th, 2017 Gilman Police arrested Kathy j. Bertrand age 44, of Watseka. Bertrand was charged with Theft. Bertrand posted the required bond and was released. On July 20th. 2017 Iroquois County Sheriff's arrested Bryan J. King age 40, of Cissna Park, King was arrested for Domestic Battery. King remains at Iroquois County Jail in lieu of bond. 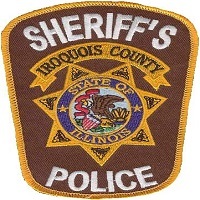 July 18th, 2017 On July 18th, 2017 Iroquois County Sheriffs Police arrested Nicholas J. Floyd, age 25, of Bourbonnais, IL. Floyd was wanted on an Iroquois County warrant for violation of an order of protection. He was taken into custody and transported to the Iroquois County Jail where he remains in lieu of bond. On July 16th, 2017 Onarga Police arrested Brett A. Studer, age 18, of Onarga, IL. Studer was wanted on an Iroquois County warrant for failing to appear on a prior battery charge. He was taken into custody and transported to the Iroquois County Jail where he posted the required bond and was released.